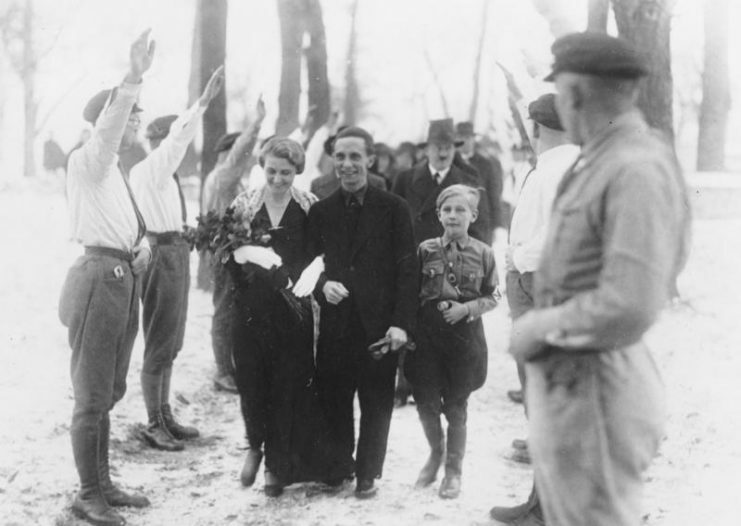 A Most Unmotherly Act: Magda Goebbels,The First Lady of the Third Reich. It was a morbid place of gray concrete, narrow corridors, iron doors, and cold light. Not a place where anybody could feel comfortable, especially not children. It was the end of April 1945. These were the final days of their lives, but the children did not know that. There was twelve-year-old Helga, her eyes and dark hair were like her father’s, the Head of the Reich’s Ministry of Public Enlightenment and Propaganda, Joseph Goebbels. There was also Hilde, eleven years old, a brunette, who would have become a real beauty if she’d been allowed to grow up. Then, there was eight-year-old Holde, Hedda at six years old, and finally Heide, the youngest aged four. Helmut was the only son. He was nine years old and often described as a bit dreamy. The children’s names all started with the letter “H” in honor of their Uncle Hitler. The family of eight was in a state of turmoil because they had to vacate their apartment in Berlin on the Hermann-Goering-Strasse. The mother and father packed suitcases and quickly dressed their children in hats and coats. The young nanny stayed behind. She was powerless to intervene. All she could do was watch as Magda Goebbels rounded up her flock of children and voluntarily followed the Führer into the depths of what would become his tomb. 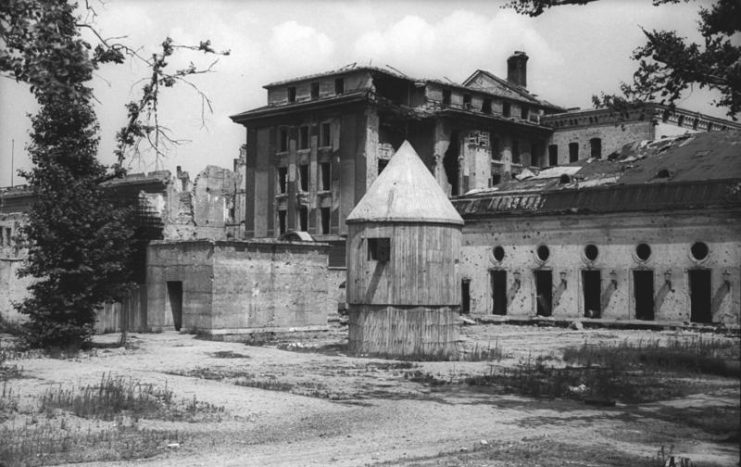 By the end of April 1945, Berlin — the once proud capital of a Reich that was supposed to last one thousand years — was in ruins. 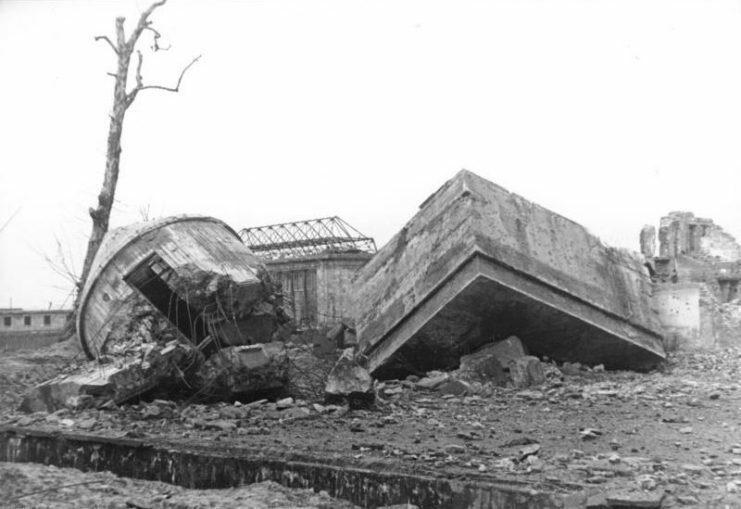 Devastating Allied air raids had laid waste to the monuments and buildings that, according to Joseph Goebbels’s rhetoric, should never have been touched. It did not take long for the Goebbels’s children to descend deep underground into the cavernous depths of the Führer Bunker. It was a morbid place of gray concrete, narrow corridors, iron doors, and cold light. Not a place where anybody could feel comfortable, especially not children. Soldiers of the victorious Red Army were only a few hundred yards away. Everybody in the bunker tried to convince the Goebbels to take their children to safety. 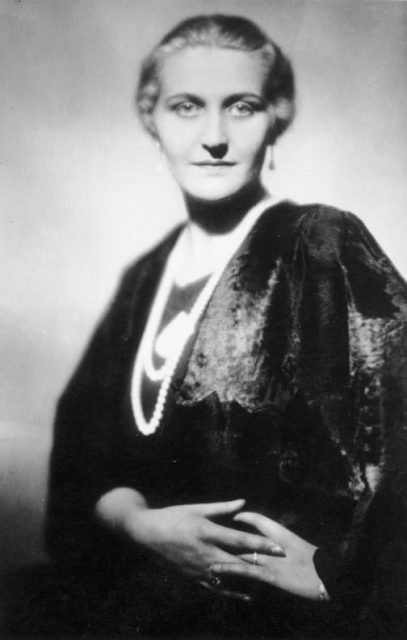 Hanna Reitsch, the famous aviatrix, who set 40 altitude records in gliding and unpowered flight during and after the war, said, “My God, Mrs. Goebbels, even if I have to fly 20 times to get the children out, they can not stay here.” But the First lady of the Third Reich, whom Adolf Hitler addressed as “Gnädige Frau” or “Ma’am,” was resolute in her decision. 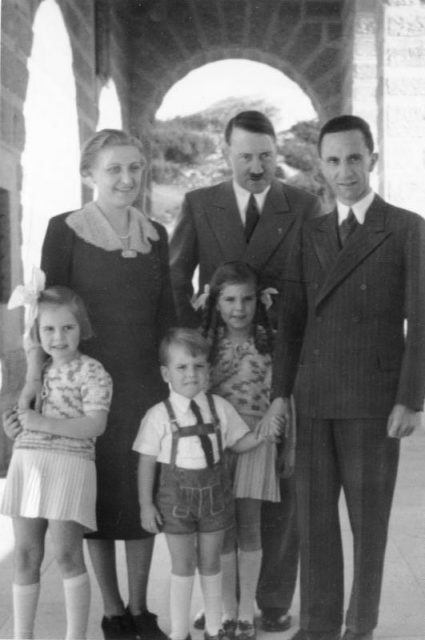 “My children should rather die than live in shame and ridicule,” said Magda Goebbels. Furthermore, Joseph Goebbels feared that Stalin would have his children spirited off to Moscow and then drilled as communists. “No, it’s better that we take them with us,” she concluded. On April 30, 1945, at about 3:30 pm, Adolf Hitler put a bullet in his head. 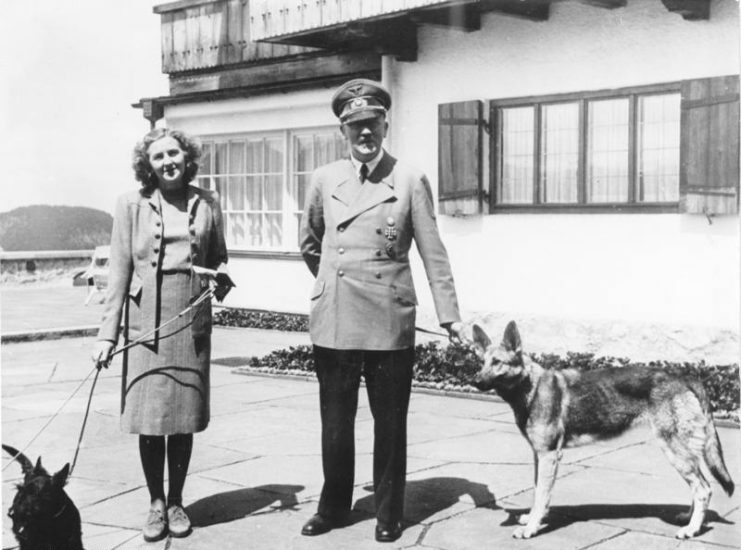 Eva Braun, his newly wedded wife, died alongside him. This double suicide was the signal Magda Goebbels needed. 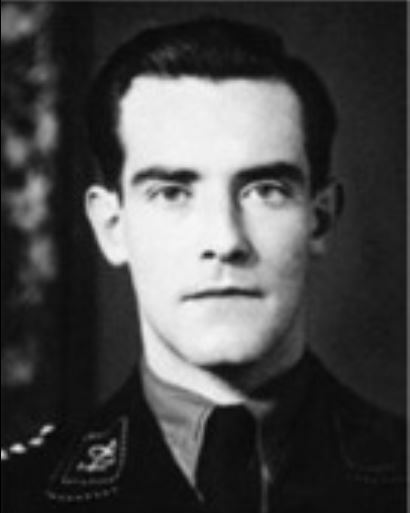 A few days before the Führer’s death, Magda Goebbels had taken Helmut Kunz, an SS dentist, aside and asked him to “assist her in the killing of her children.” Kunz refused, saying that he just could not do it. He went on to explain that only a few months ago he had lost his two daughters in an American air raid. Kunz tried to flee to the Hotel Adlon, where one of his SS comrades ran a military hospital. 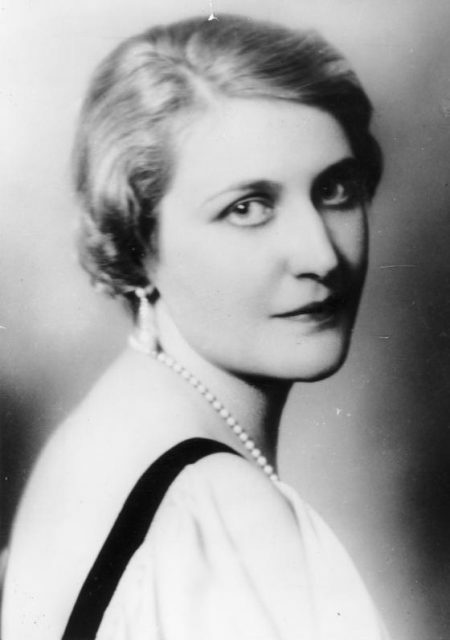 Magda Goebbels promptly had him brought back, telling Kunz that if her husband, who was the new leader of the Reich after Hitler’s suicide, learned of his refusal then he would have Kunz shot. 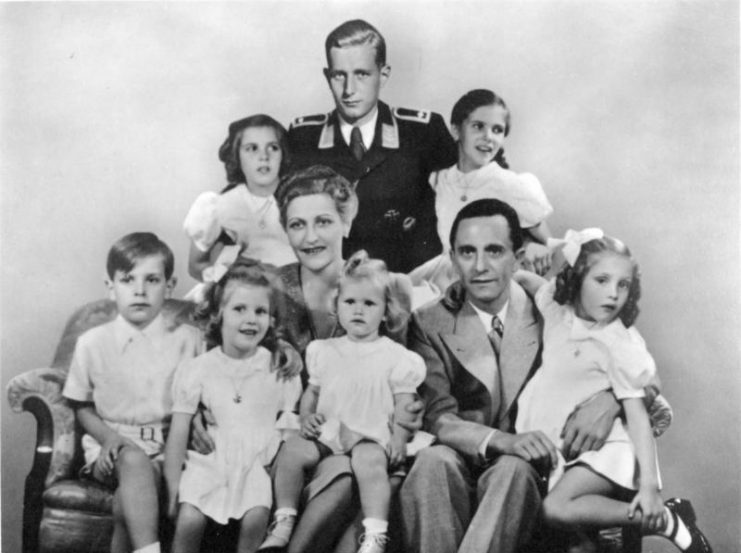 Magda Goebbels started to dress one child after the other in the same long white nightgowns. She wore a brown dress with a white border, which hardly differed in color from her pale face. The children’s hair was carefully combed. Nine-year-old Helga was crying. Mrs. Goebbels spoke softly and seriously with the children, but she was very kind. 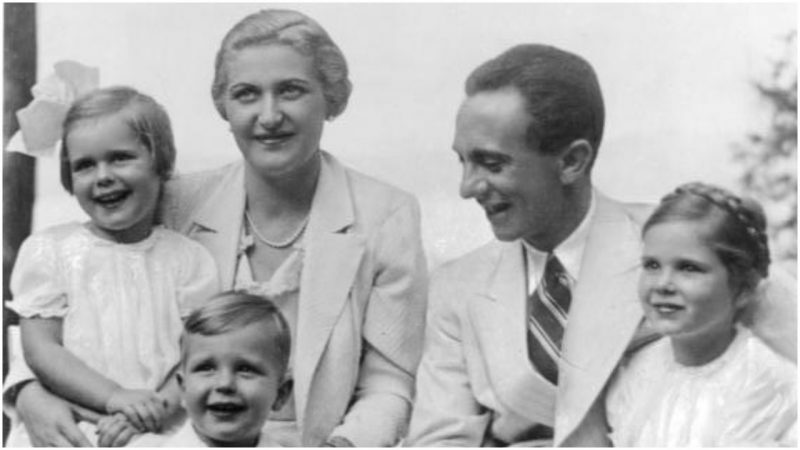 Although accounts differ, it is widely believed that when the children were asleep, Magda Goebbels took their slack jaws gently in her hands and had them bite down on cyanide capsules, resulting in their immediate death. Around seven o’clock in the evening, Mrs. Goebbels emerged from the children’s room alone. She didn’t shed a tear. Only when she sat down at a table did her body start to shake slightly. She then dealt out playing cards and devoted herself to a game of Patience. Her husband approached her, but the two of them never exchanged a word. The following formed part of the farewell letter Magda Goebbels wrote to her only surviving son from her first marriage. His name was Harold Quandt, and he was the son of Günther Quandt, the founder of an industrial empire that today includes the car brand BMW. 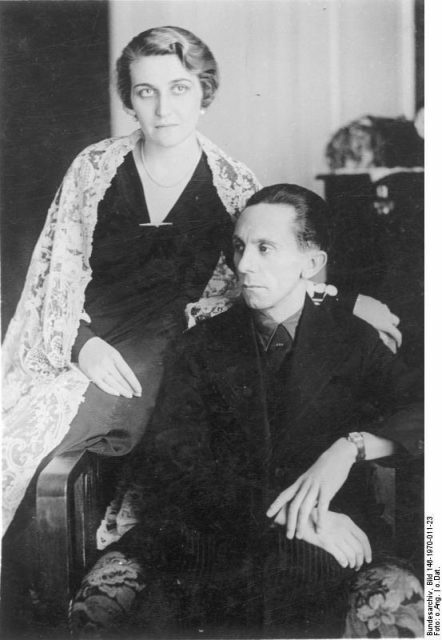 Joseph and Magda Goebbels, the one-time first couple of the Reich who got married with Adolf Hitler as their witness, committed suicide in the garden of the Reich’s Chancellery. Their bodies were then doused in petroleum and burned. Soviet troops later found the corpses of their six children, the girls with ribbons meticulously tied in their hair. The manner in which these children died is a tragedy that exposes the devastating power a totalitarian regime can have on a family.